Where there is a will there is a way. That could be the title of the story of Quique Dacosta, a self-taught Spanish chef of a restaurant that is called by his name. Today, Quique Dacosta is considered to be one of the leaders of avant-garde cuisine in Spain. He has won awards and accolades from being in the top 50 list of the World’s Best restaurants to having three Michelin stars. It is hard to believe that he started working as a chef in the restaurant which he now owns at the age of 17 and never cooked or trained anywhere else. It all started in 1989, when he joined a family restaurant by the name of El Poblet in 1989 without any previous experience as a chef. 10 years later, he bought the restaurant in Denia, close to Alicante and Valencia. He says that he owes his success to his team. “I am lucky to have a fantastic team that can help me to turn ideas into reality. They can focus on everything from the largest to the smallest of details. I always say that it is better to have two heads than one. It is the team that has made our project possible,” Quique tells me when I met him at Chef Sache in Cologne. Many chefs have taken a route of searching for inspiration in other restaurants around the world. In Quique Dacosta’s case, that has clearly not been the case. So how does he go about the creative process I ask. “It all boils down to the idea. We are not talking about a product, or a technique, but an idea. We work to turn the idea into reality. I look at a blank painting and I say I want to eat that painting. I want to turn that into food. That is when the process is starting. The idea is to eat a painting. We then work to create it,” he tells me. The restaurant is based in Denia, a stone’s throw away from the Mediterranean sea. He gets all his supplies for the restaurant from the region. Nothing comes further than 80 kilometres away from the restaurant. This was also a stroke of luck because when he was starting, little did he know that territoriality would become so important in today’s cuisine. “We are extremely lucky to have sensational produce around us. It is incredible to have such great produce. Every year we gain a bit more experience which is great but there is so much produce to work with that it is always work in progress,” he tells me. The restaurant re-opened its doors after the annual break on 4 February 2015. 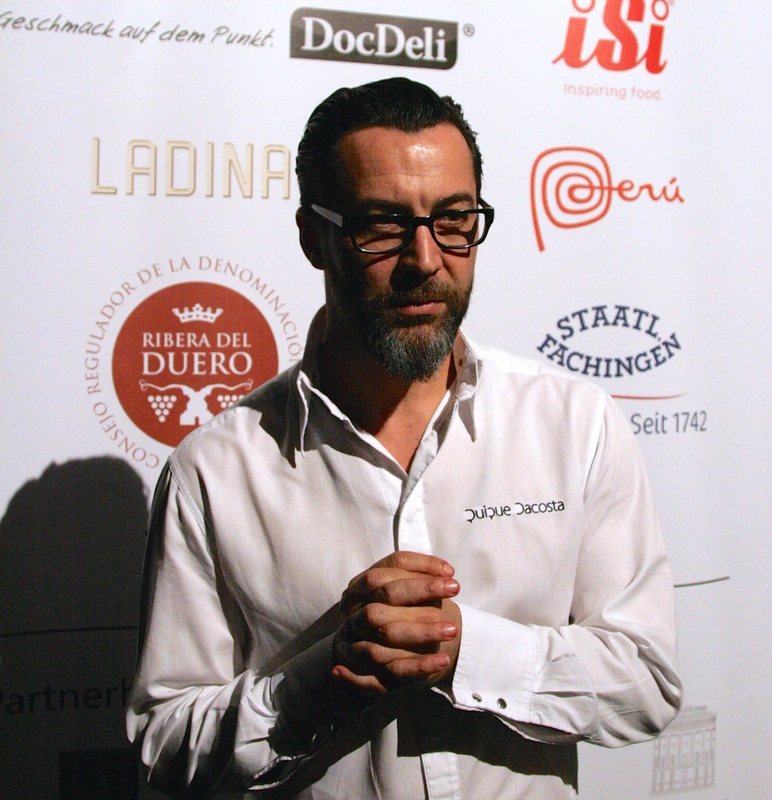 You can also read about Quique Dacosta in our report on his presentation at Chefs Revolution in Zwolle.